If I was being completely honest, the word ‘Aruba’ only ever came out of my mouth while singing along to The Beach Boys, ‘Kokomo’, and believe me, that wasn’t very often. 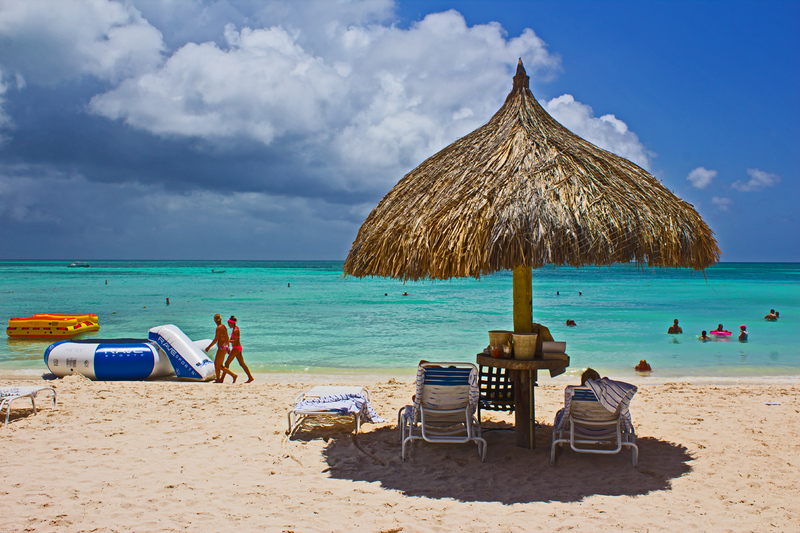 If you are not from around here or don’t ever really choose cruising as a means of vacation, I think Aruba is definitely one of those lesser-known islands in the Caribbean. When I told my parents back home in Australia that I was heading to Aruba, it wasn’t until a few days later that they actually decided to look at a map and realize I needed a passport to get there. They thought Aruba was in Florida! *hangs head in shame*. 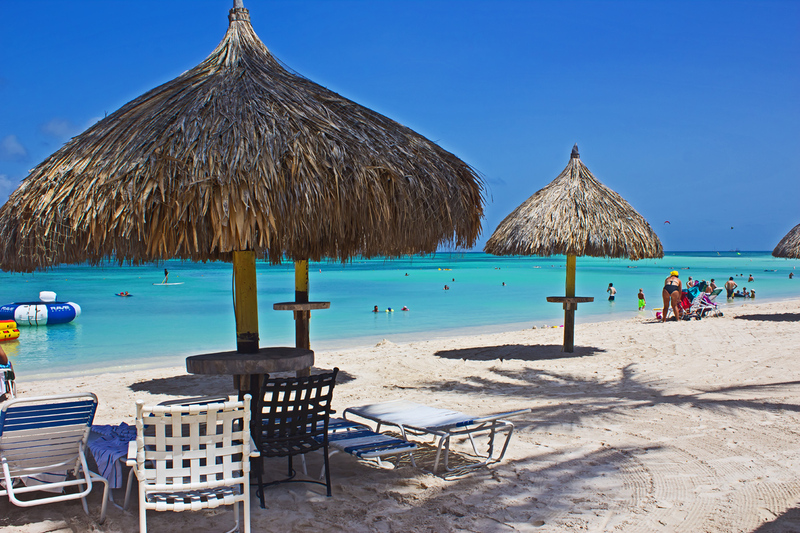 With its warm weather and turquoise waters, Aruba is the perfect destination for discerning travelers seeking the ultimate Caribbean vacation. 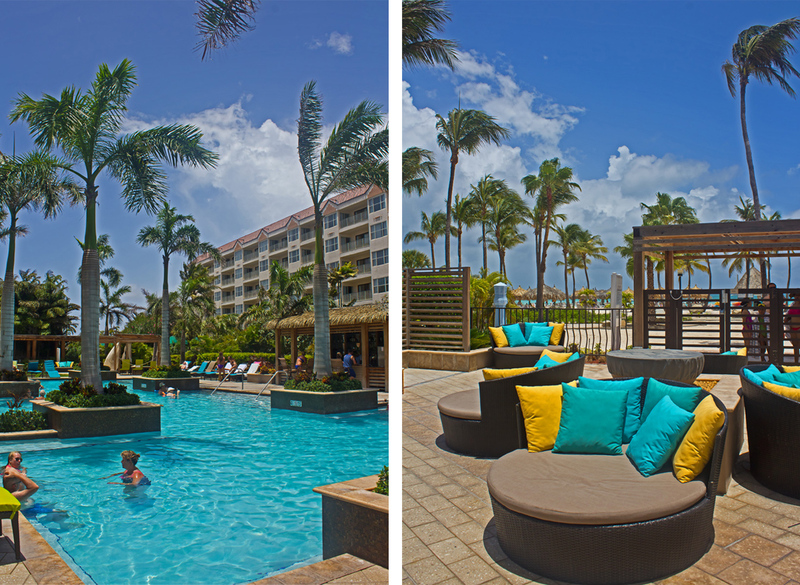 Situated on Palm Beach (and just seven miles from Queen Beatrix International Airport), the Aruba Marriott Resort & Stellaris Casino recently completed a $50 million renovation and boasts modern room decor while maintaining a sense of luxe minimalism. 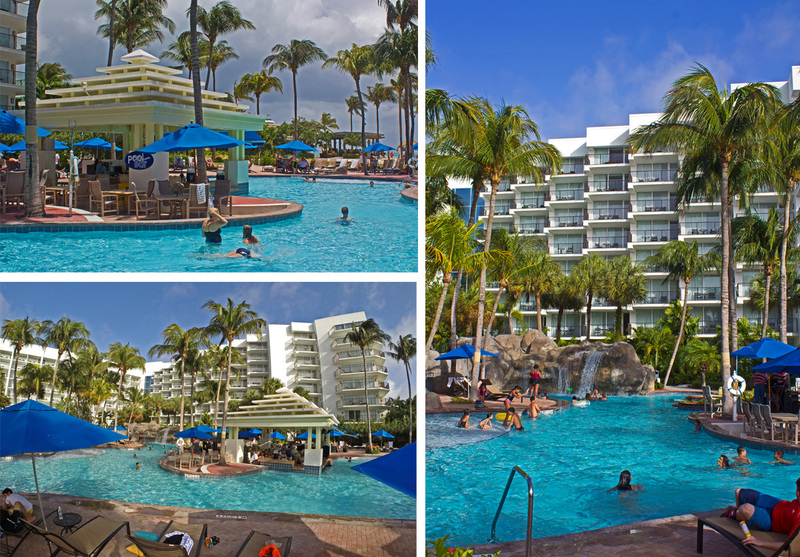 The resort consists of 411 guest rooms including 23 suites, each of which are well over 500 square feet, making the Aruba Marriott Resort & Stellaris Casino the most spacious resort on the island. 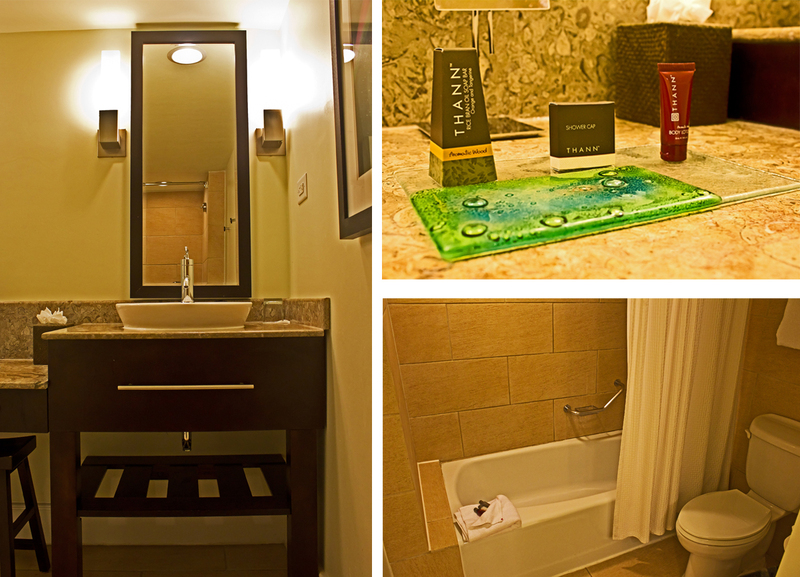 Each room has a 100-square-foot balcony featuring breathtaking views of the sparkling, Caribbean waters. 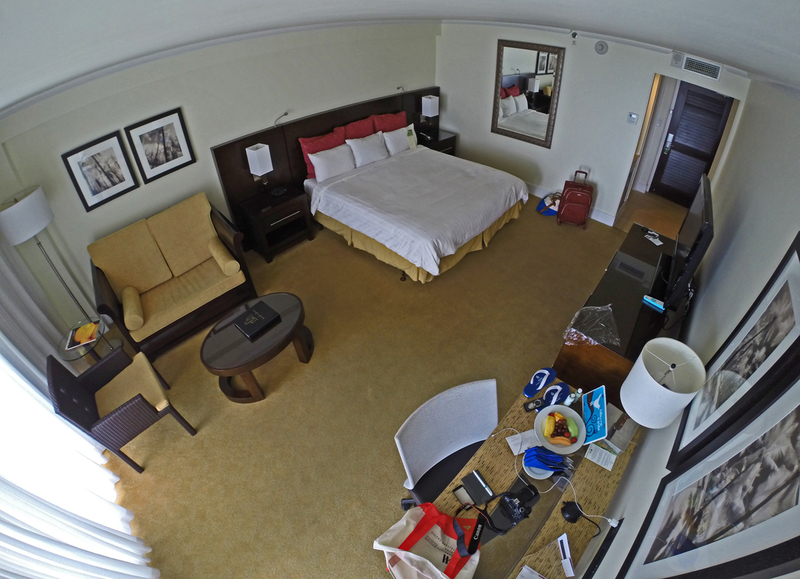 I was in room 614; an ocean-view guest room with a King bed and balcony. 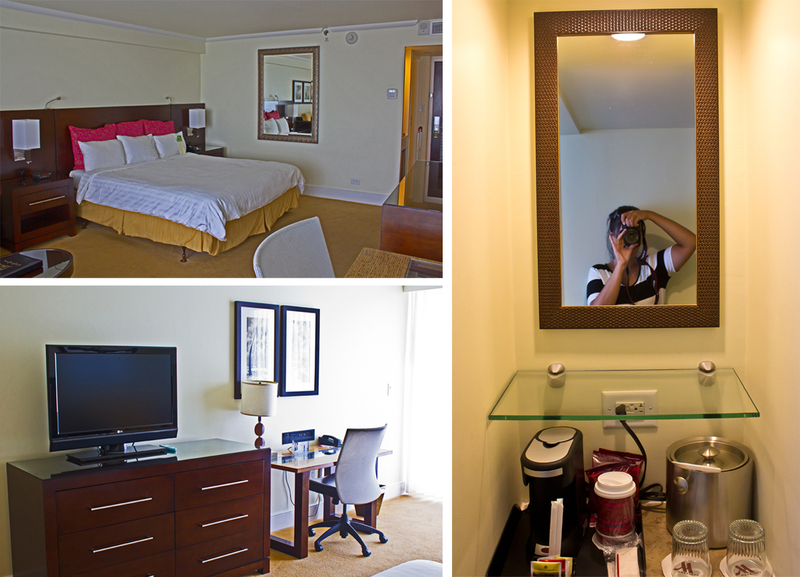 The room was extremely spacious and offered a desk/chair work station with a fantastic outlet strip for all my charging needs, a couch/coffee table area, a coffee/tea and mini fridge area, a huge walk-in closet (with Marriott robes, my fave!) and a rather large bathroom complete with luxe double-vanities and mirrors, a full body-length mirror, a tub/shower and toilet. 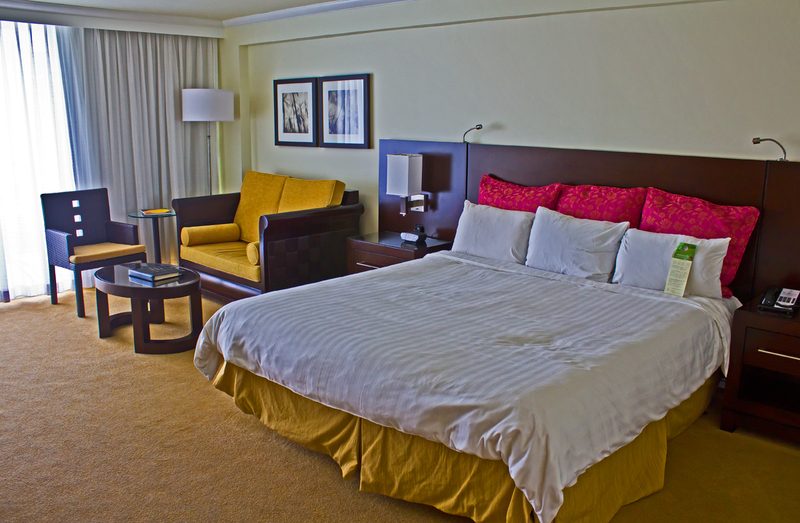 And let’s not forget the best part – that Kind bed, oh my! At my ripe old age of 28, I have come to appreciate the amazingness that is sleep. After a long day of intense sun and water, the plethora of pillows on my bed felt like tiny clouds of puffy heaven that I so happily sunk into before getting lost within my dreams. The resort has two main outdoor pools to choose from; a family-friendly style pool and then the H2 Oasis adult exclusive pool. Both pool options provide towels. The family-friendly pool is large in size and features cascading waterfalls for the little ones to enjoy. The seating by this pool fills up rather quickly, mostly with families and children. If all those kids running around becomes a little too much for you to handle, jump into the pool and make your way over to the swim-up-bar, so convenient! That should help you block the screams of your children out for a while 😉 haha. The H2 Oasis pool is where it’s at! The best part about this? No children allowed! Music to my ears haha. 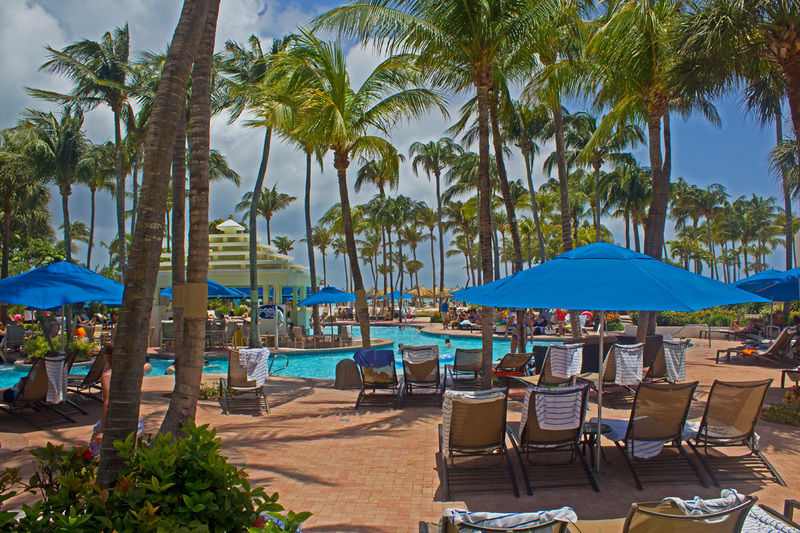 This pool is the newest addition to the resort and is a complete recreational area – you’ll need your room key to both enter and exit this area. The terrace features plush cabanas and lounge chairs and while the bar here is not located in the pool, it still serves up some tasty food and is fully stocked with all your favorite adult beverages that you can sip on and enjoy in blissful silence. After two hours pool-side in the blistering sun, I did make a gelato stop at the Lobby Cafe for a double-scoop of lemon and strawberry gelato. Oh my goodness, it was AMAZING! Probably some of the best gelato I’ve had as of late which kind of surprised me. I would have taken a photo but I was too busy devouring it. One morning I did have an early start so I arranged for room service to have breakfast delivered to my room. A wide range of breakfast favorites were available, but of course, I went with the cliche bacon, eggs, hash browns, toast and orange juice – yum! Although room service was running slightly behind schedule, my food arrived with ample time for me to inhale it before heading out for the day; it was delicious. Pricey, but delicious. That same day I also enjoyed dinner at Simply Fish which was scrumptious – I’ll save those details for an upcoming Aruba food post though! 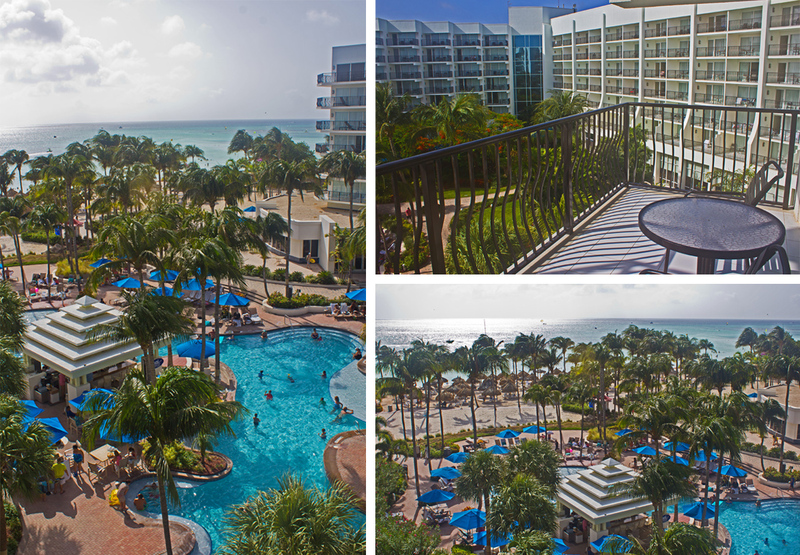 The Marriott Aruba Resort provides front-door access to Marriott’s private stretch of sugar-white sand beach. The turquoise waters of the Caribbean Sea glisten in such a way that leaves you in a zombie-like trance, and before you know it, you’re already waist-deep, just soaking it all up. Beach chairs and shack-like umbrellas are up for grabs along the shore, but if you want one, you’ll need to get out there early. If you leave it until too late, you’ll become involved in a Hunger Games-like battle, and we all know there can only be one Katniss and Peeta! If you’re up for some friendly competition, there’s a sand volleyball court available and you’ll also find a plethora of water activities available on the beach-front. Look at that water. Take me back. Now! By the way, how cool is my GoPro selfie pole? It takes #foreveralone to an entire new level! With its Balinese style interior design, the Mandara Spa is the largest professional spa on the island. 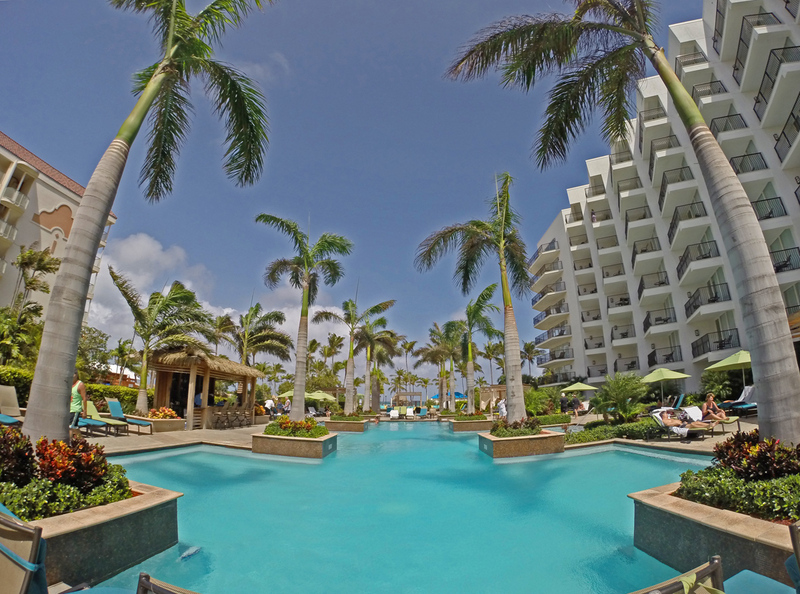 It’s located on the ground floor of Marriott’s Aruba Ocean Club and includes VIP couple treatment rooms with extra large Jacuzzi baths or Vichy Showers, eight treatment rooms, indoor and outdoor relaxation areas, a steam room and an exclusive nail salon. I had the most incredible 50 minute massage here, but I’m saving those details for another post. 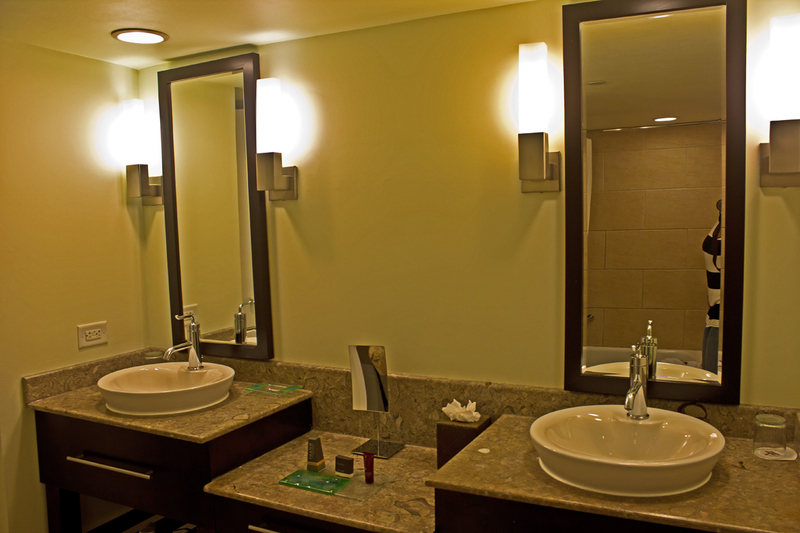 The Stellaris Casino is the largest casino in Aruba; it features 26 gaming tables and over 500 slot machines. I even saw a group of people playing bingo too, how fun! When I found out the the Marriott Aruba Resort had a casino in its lobby, I was so excited. The noises that come from a slot machine are so exciting to me, they draw me right in – when I see the flashing lights and hear the sounds, it’s like a magnetic pull that I can’t escape. I swear I do not have a gambling problem, I don’t play the tables and I don’t throw away hundreds of dollars, I play the penny slots and I know how to quit while I’m ahead. I had some downtown on my first night at the resort so I enjoyed wasting an hour and some cash, jumping from slot machine to slot machine, it was fun and something to do before bed. 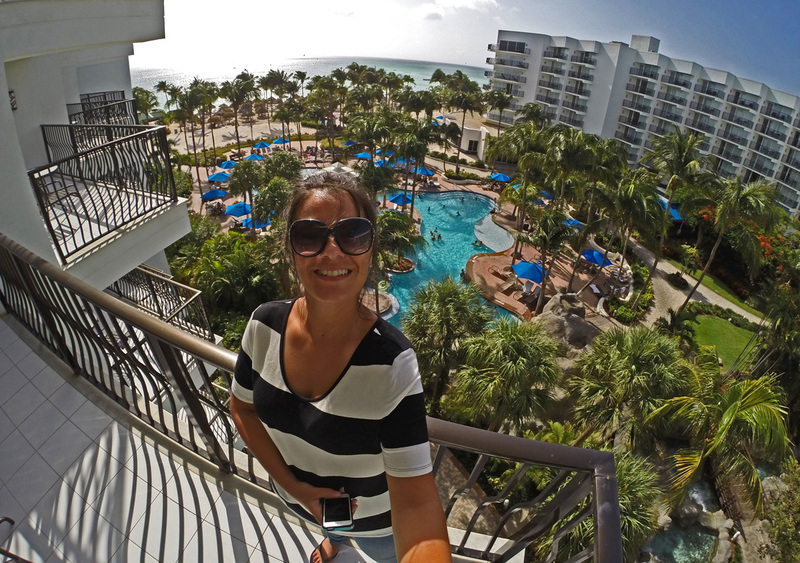 I had such an incredible stay both in Aruba and at the Marriott Aruba Resort & Stellaris Casino. I loved everything about the resort, but most of all, the staff were so friendly and hospitable. Every day they’d greet you with a big smile on their face and they go above and beyond to make sure your stay is nothing short of amazing. It’s the little things too; like when you check in, the staff member behind the desk will actually walk around to you to hand you your room key before directing you to the elevator instead of handing it to you over the desk – such a nice welcoming touch. 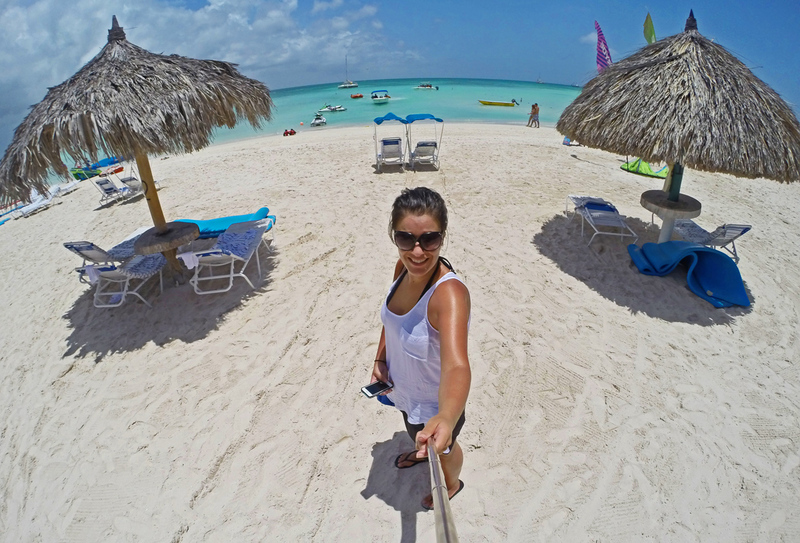 Stay tuned for more Aruba! 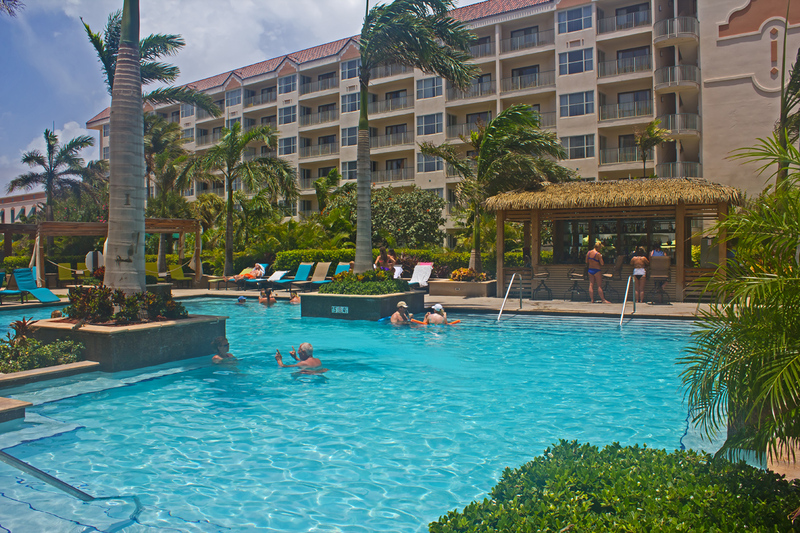 *I stayed at the Marriott Aruba Resort & Stellaris Casino as part of an ‘Au Naturel Aruba’ press trip provided by Marriott, but all opinions are my own. The water there looks AMAZING. And I want to go to that adult-only pool! The adult-only pool was heaven. I wish every hotel pool could be like that. What a spacious room! Usually places like that cram as many people into a small space as possible! Oh yeah, it was huge, and I was alone (apart form those late night rendezvous 😉 haha) so it seemed extra big. Loved it! OMG So jealous of your trip! That adult only pool is where I would live the entire vacation! And that gelato sounds like heaven… I want it! I wish I took a photo of the gelato… but in reality, I just shoved my face all over that thing and inhaled it. Wait for the food post I have coming up this week, although there’s no gelato photo, there is other deliciousness that I actually took photos of before being a fat kid. Haha, after I typed that line I couldn’t get the song out of my head either! I’ve only ever been to the Bahamas and that’s always by cruise, so I’ve never stayed at any of the resorts there. Cruising is a big way of vacation here in the US… it makes people here feel like they’re really getting that “travel” experience, it’s cheap, and it’s all you can eat… I don’t really consider cruising a real form of travel, it’s not my cup of tea and it doesn’t make me feel like I’ve really been overseas… if that makes sense. I still can’t get over this trip… the water is so blue!! So blue – it’s definitely up there with some of the most turquoise waters I’ve ever experienced around the world! Hi Lynda, very informative post. We are coming over from the UK and are hoping to visit Aruba and this is one of the better hotel reviews we have seen for the island. Thank you for sharing and we love your photos too. Thanks Grant! If you have any questions let me know and I can help answer to the best of my knowledge. You’ll love it!! !